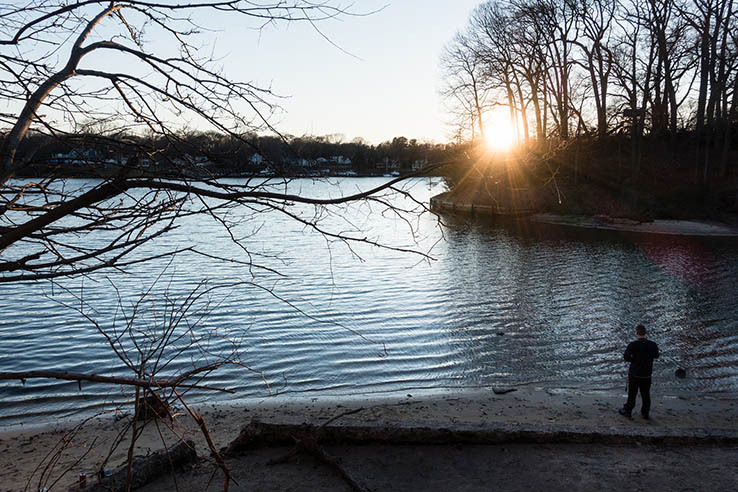 Hundreds of thousands of creeks, streams and rivers flow through the Chesapeake Bay region, sending fresh water to the Bay and providing habitat to aquatic plants and animals. Hundreds of thousands of creeks, streams and rivers thread through the Chesapeake Bay region. These tributaries send fresh water into the Bay, offer vital habitat to aquatic plants and animals and provide people with public access points where they can fish, boat and swim. 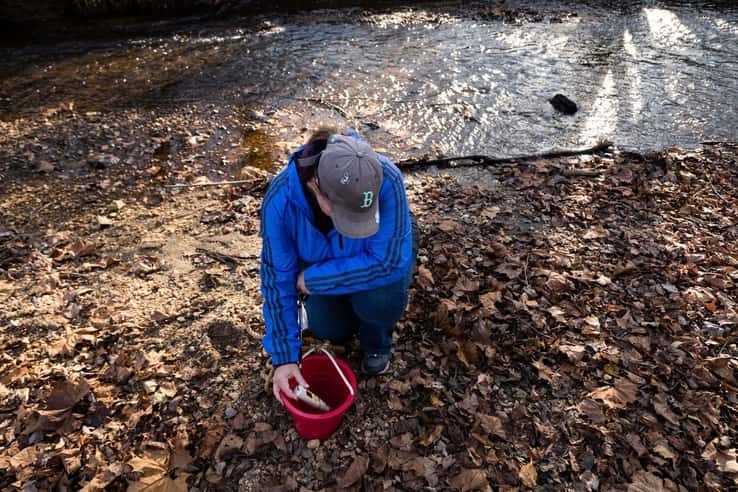 While pollution and the installation of dams, culverts and other structures can affect the health of rivers and streams, local cleanups and reductions in polluted runoff can conserve their health. Why are rivers and streams important? A number of aquatic plants can be found in freshwater tributaries, including algae, mosses and several species of underwater grasses. Diverse communities of benthic organisms can be found on the bottom of rivers and streams. These organisms—which include bacteria, clams, crustaceans, insect larvae and worms—form an important link in the food web, and act as an indicator of watershed health. Some fish can only be found in freshwater tributaries, including bass, catfish and sunfish. Anadromous fish—which include American shad and Atlantic menhaden—spend their adult lives in the ocean but migrate into freshwater rivers and streams to spawn. Frogs, turtles and salamanders can be found in freshwater tributaries during some parts of their lives. Rivers and streams also provide people with much-needed public access points where they can fish, boat and swim, observe wildlife, and reconnect with the watershed. Building personal connections with the environment can benefit public health and conservation and stewardship efforts. What factors affect river and stream health? Litter and debris, nutrient and sediment pollution, chemical contaminants, and the installation of dams, culverts and other structures can affect the health of rivers and streams. Aquatic litter and debris includes plastic bags, cigarette butts, beverage bottles and other waste that enters the marine environment. Sometimes, this waste is thrown onto a street or into a waterway on purpose; other times, it enters the environment accidentally. 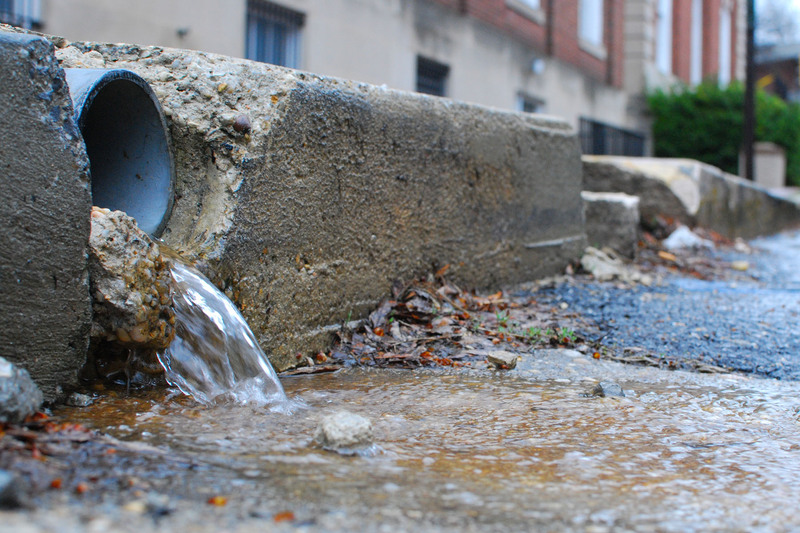 In urban and suburban areas, waste that is on a street or sidewalk can be pushed into storm drains, rivers and streams when it rains. 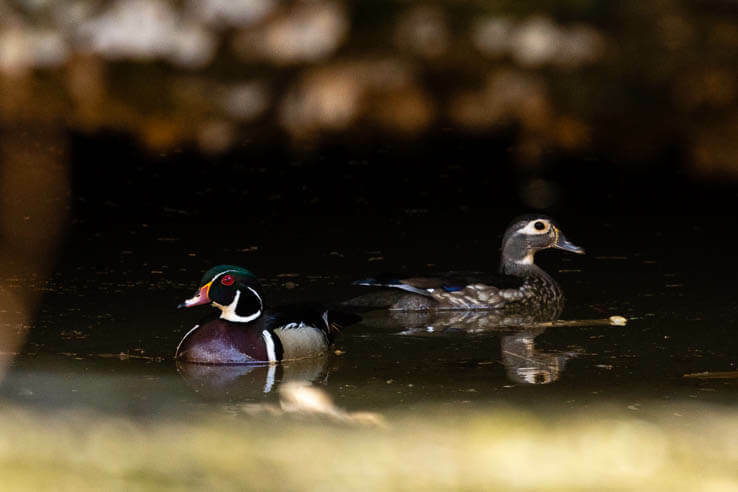 Aquatic litter can detract from an area’s beauty, smother grass beds and bottom-dwelling organisms, add chemical contaminants to the water, or be ingested by animals. 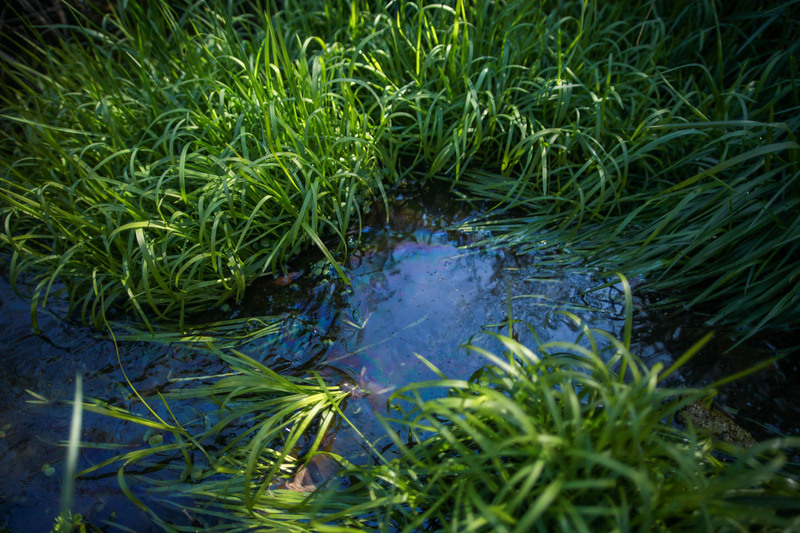 Excess nutrients enter the water through agricultural and urban runoff, vehicle emissions and other sources. These nutrients can fuel the growth of harmful algae blooms, which block sunlight from reaching underwater grasses and lead to low-oxygen dead zones that suffocate marine life. Excess sediment enters the water through agricultural and urban runoff, stream bank and shoreline erosion, and other sources. Suspended sediment can block sunlight from reaching underwater grasses, smother oysters and other bottom-dwelling species, and clog ports and channels. Almost three-quarters of the Chesapeake Bay’s tidal waters are considered impaired by chemical contaminants. These contaminants include pesticides, pharmaceuticals, metals and other substances that can harm the health of both humans and wildlife. These contaminants enter rivers and streams through air pollution, agricultural and urban runoff, and wastewater. Dams, culverts and other structures can alter the flow of rivers and streams, accelerate the accumulation of sediment and block migratory fish from reaching their spawning ground. In some areas, dams are being removed or lifts, ladders and passageways are being installed to reopen river habitat and allow fish to swim upstream. For Chesapeake Bay restoration to be a success, we all must do our part. Our everyday actions can have a big impact on the Bay. By making simple changes in our lives, each one of us can take part in restoring the Bay and its rivers for future generations to enjoy. To conserve the health of rivers and streams, consider reducing the amount of pollution that can run off of your property. Install a green roof, rain garden or rain barrel to capture and absorb rainfall; use porous surfaces like gravel or pavers in place of asphalt or concrete; and redirect home downspouts onto grass or gravel rather than paved driveways or sidewalks. Follow safe and legal disposal methods of paint, motor oil and other chemicals to make sure they do not run into rivers and streams. How many rivers and streams are in the Chesapeake Bay region? Altogether, more than 100,000 streams, creeks and rivers thread through the Chesapeake Bay watershed. What is the difference between a tidal river and a non-tidal river? A tidal river is a river or a stretch of river whose flow and level are influenced by tides. For example, the Choptank, Potomac and Patuxent rivers have tidal and non-tidal portions. What pollutes rivers and streams? Litter, nutrients, sediment and chemical contaminants are some of the common pollutants found in rivers and streams. How do dams affect rivers and streams? Dams can block American shad and other migratory fish from reaching their upstream spawning grounds. Dams can also affect the natural flow of rivers and streams. Fish passage is the ability of fish to migrate up rivers, streams and other waterways, often to access spawning or rearing ground. Barriers to fish passage (which include road culverts, dams, dikes and other obstructions) can reduce the distribution and habitat available to American shad and other migratory fish and, in some cases, eliminate fish populations altogether. How do fish passageways work? Fish passageways allow American shad and other migratory fish to pass over dams and reach their upstream spawning grounds. There are five major fish passageway designs used in the Chesapeake Bay watershed: denil, steeppass, vertical slot, pool and weir, and fish lifts. A cold-blooded vertebrate that lives in water and on land. Amphibians’ aquatic, gill-breathing larval stage is typically followed by a terrestrial, lung-breathing adult stage. For example, frogs, toads and salamanders are amphibians found in the Chesapeake Bay watershed. Fish that spend their adult lives in salt water but must migrate to freshwater tributaries to spawn. For example, Atlantic sturgeon and American shad are both anadromous fish. Bottom-dwelling. Benthic organisms spend at least part of their lives in, on or near the bottom of aquatic environments. Pesticides, pharmaceuticals, metals and other toxic substances that can harm the health of both humans and wildlife. Aquatic arthropods (invertebrates) that have gills, joined legs and exterior skeletons. Crabs, shrimps, barnacles, amphipods and isopods are all crustaceans. Any barrier which impounds or diverts water. Chemicals that plants and animals need to grow and survive but, in excess amounts, can harm aquatic environments. Elevated levels of the nutrients nitrogen and phosphorous are the main cause of poor water quality in the Chesapeake Bay. 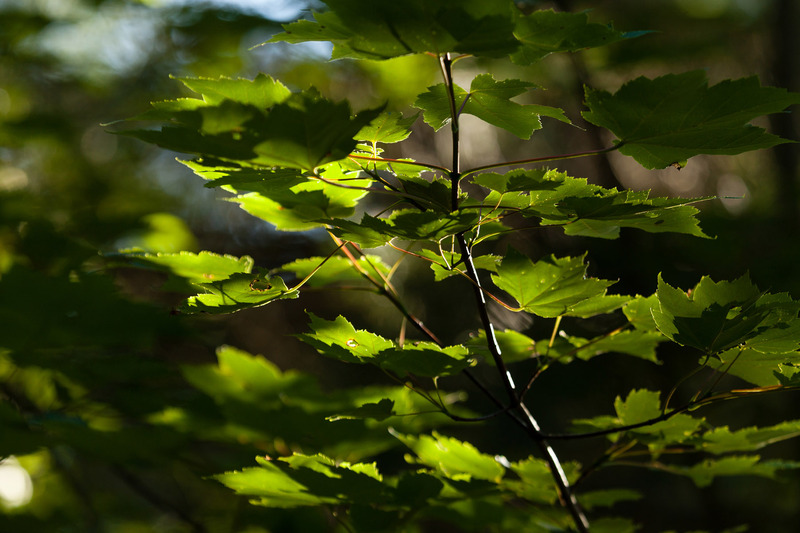 The introduction of harmful substances or products into the environment. A natural or artificial place where water is collected or stored for use, especially water for supplying a community, irrigating land and furnishing power. Loose particles of sand, silt and clay that settle on the bottom of rivers, lakes, estuaries and oceans. Suspended sediment pushed into the water by erosion is one of the biggest impairments to water quality in the Chesapeake Bay. A creek, stream or river that flows into a larger body of water. For example, the Susquehanna, Potomac and James rivers are tributaries of the Chesapeake Bay.